which allows swimmers to enjoy the water year around. There a number of upcoming youth endurance and stroke swim clinics available. To sign up for a swim clinic below, see the Riverwood Athletic Club front desk. Participants must be 5-18 yrs of age with swim team experience or in eels/dolphin class. The cost is $8 mem/$12 non. This class involves water exploration and primary skills: front crawl, back crawl, jumping in deep water, breathing, etc. This class involves primary skills and stroke readiness: submersion, front crawl, back crawl, rotary breathing, treading water. 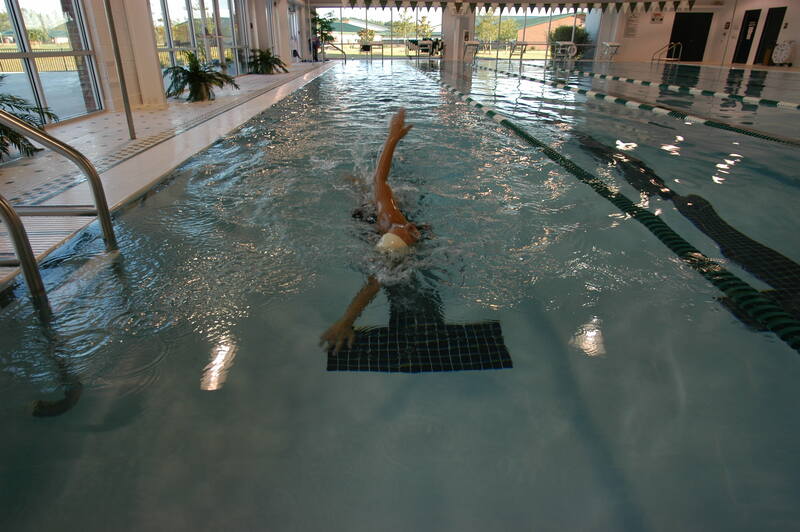 This class involves stroke technique in freestyle, backstroke and introduction to breaststroke, diving, and deep submersion. See the Full Lesson Schedule. For swimmers ready to compete, the Riverwood Rays swim team offers kids the opportunity to be part of a successful swim team and to show off the skills they have learned in swim clinics, lessons, and practice. Visit our Riverwood Aquatics page to learn more about our pools, as well as the many aquatic events and programs we offer.